A list featuring craft books that may be found at the Oakland Public Library. Obasi Davis, Oakland's incredible new Youth Poet Laureate, attended the Bay Bridge opening with Juan Felipe Herrera. Last month we announced the new Oakland Youth Poet Laureate, Obasi Davis, at an event that honored him and the other talented young finalists. We are so proud of them all! Singing soothes the savage beast (and also helps prepare your child to be ready to read). Songs are a wonderful way for children to learn about language and pick up new words. Singing also slows down language so they can hear the different sounds that make up words. This helps when children begin to read printed language. There are some easy and fun things you can do with your child with songs and music. What will happen when a young reader discovers a kind of book he didn't know existed? True love, perhaps? Read--this week in comics form! A friend and I have been doing a 30 Day Drawing Challenge; every day we draw from a prompt, then post the pictures to each others' Facebook walls. Results are somewhere between poignant and hilarious. In that spirit, I decided to draw today's story about a reluctant reader who finds a kind of book he'd never dreamed existed...... Enjoy! More than 5000 kids read for more than 8 hours each this summer in the Oakland Public Library Summer Reading Program, and collected wonderful rewards including a book of their own, and coupons to attractions all over Oakland. Two lucky kids are the recipients of this year's city-wide grand prizes. For the under-5 category, Children's Fairyland generously donated a one-year family membership, and the lucky recipient is Kiran Beattie, age 4. Here she is with her older sister Amba, who likes Fairyland too. Since the whole family helped Kiran read this summer, we're glad they all get to share in the prize. Oakland Public Library will be at East Bay Nerd Nite #11. You should be there too! If there's one thing this librarian loves, it's a good nerd, so imagine my excitement when I learned there was an opportunity to partner with Nerd Nite East Bay. A dream come true! A whole night, once a month, for nerds that we, the Oakland Public Library, can be part of? Count me in! So, you may be wondering what Nerd Nite is exactly. It is an event that takes place on the last Monday of each month at the New Parkway and includes three talks from three speakers on three diverse topics, each one, of course, interesting and engaging. Last month I attended as an audience member and loved it. This month, I'll attend as an interested audience member and in official librarian capacity repping OPL. Looking for Oakland stories? Here is a sampling of titles offered at OPL. Many people, including myself, enjoy reading books that are set in the area in which they live so I've dedicated this post to fiction set in Oakland. All of these titles are available at OPL and include blurbs from the publisher's descriptions. While I've only listed fiction that takes place in Oakland, the library also carries many titles by Oakland authors. A list of recommended books on CD for kids of all ages that can be found at the Oakland Public Library. If you’re looking for something to captivate youngsters during an end-of-summer road trip, OPL has you covered! Each of our library locations carries a selection of children’s audiobooks to engage even the wiggliest of passengers. Ask library staff to help you find book/CD kits, too; these are books that include a CD so kiddos can read along with the audio. Have you tried audiobooks with your kids? Let us know which ones they have especially enjoyed! Sara Palacios is coming to Oakland Public Library! Sara Palacios, award willing children's book illustrator, is visiting the César Chávez branch of the Oakland Public Library on Saturday, August 24 at 3:30. She will share illustrations from her books and answer questions regarding how she creates her images. 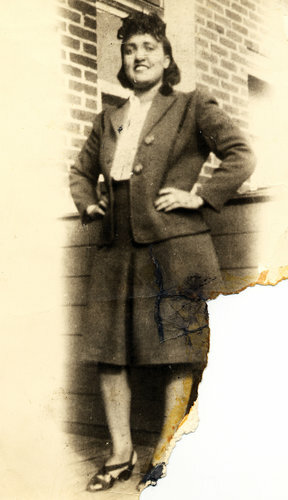 Henrietta Lacks was a poor black Virginia farmer born in 1920. She was one of ten children and went on to have five, herself. But she was more than that, Henrietta was also said to have been beautiful, generous and kind. And though she died at the age of 31, part of her is still very much alive and with us, some 62 years later. The Lacks family saga has recently resurfaced in the news.